Though amusement parks seem like a logical location for horror films, that seems like an underexplored sub-genre. With 2018’s Hell Fest, we get an attempt to pursue this theme. A traveling theme park called “Hell Fest” traverses the US during Halloween season and acts as a spot for thrills and chills. When late teen Natalie (Amy Forsyth) visits her old pal Brooke (Reign Edwards), they take their fellow friend Taylor (Bex Taylor-Klaus) and male dates to this event. As they pursue spooky fun, a real threat emerges via a masked, hooded figured called “The Other” (Stephen Conroy). He stalks the friends and forces them to fight for their lives. On the surface, the concept of Hell Fest sounds both fun and far-fetched. As I implied at the start, the idea of horror in an amusement park makes a ton of sense, especially one with terror at its core. Face it: the notion that a killer could execute patrons of an event with hundreds of others around seems tough to swallow, so the “Hell Fest” notion offers a logical explanation. Murders can occur in plain sight because the witnesses think they’re all just part of the show. On the other hand, the “far-fetched” side comes in because there’s only so far this notion can go. Once the bodies add up, it becomes less feasible for the viewer to suspend disbelief. The latter issue overwhelms the former, as Fest finds it difficult to go down creative paths. Whatever positives come with the premise, the end result pursues so many predictable notes that the experience feels lackluster. Fest falters at the very start, as I think it becomes a mistake to open the flick with a killing. I get that genre fans don’t want to wait forever for gore, but the suspense would build better if the threat emerged gradually. As it stands, Fest telegraphs the killer’s existence so early that the later scenes lose suspense. The story feels like it’d work better if we weren’t sure if Natalie and company dealt with a real threat or an imagined one, but since the first sequence offers an actual murder, any possible tension goes out the window. Without a mystery as part of the plot, Fest relies on little more than genre tropes to occupy the viewer, and these don’t succeed. 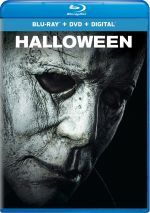 None of the characters manage to turn into anything more than basic stereotypes, and “The Other” offers nothing more than a bland riff on Michael Myers. The killings themselves fail to boast much of interest. We find ourselves in trite situations and the usual gore and blood. Nothing here offers anything creative or compelling. 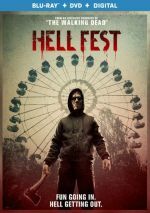 I can’t call Hell Fest a terrible take on the horror genre, but it doesn’t add anything. Predictable and without much cleverness, the film follows all the clichés without much else to bring to the table. Hell Fest appears in an aspect ratio of approximately 1.85:1 on this Blu-ray Disc. As expected, the movie presented strong visuals. Across the board, definition seemed good. Even with a mix of low-light sequences, the film appeared accurate and concise, as only a smidgen of slightly soft shots emerged. In terms of palette, Fest went with a standard orange and teal orientation, though it used a lot of colored lights as well, and those allowed it to broaden its horizons. Within stylistic choices, the hues seemed well-depicted. Blacks were dark and dense, and shadows gave us good clarity. I felt pleased with this transfer. As for the DTS X audio, it offered a mostly typical horror movie soundscape. Downconverted to DTS-HD MA 7.1, this meant a fair amount of creepy atmosphere and occasional “jolt moments”. Along with good stereo music, the soundfield was able to open things up in a satisfying manner that embellished the story. We got a good sense of crowd/theme park elements along with a useful sense of the spooky bits, with some that worked really well. A featurette called Thrills and Kills runs 16 minutes, 28 seconds and includes notes from producer Gale Anne Hurd, director Gregory Plotkin, property master John Sanders, production designer Michael T. Perry, costume designer Eulyn C. Hufkie, SPFX makeup department head Lucas Godfrey, and actors Amy Forsyth, Reign Edwards, Bex Taylor-Klaus, Christian James, Matt Mercurio, and Roby Attal. “Kills” looks at story and characters, cast and performances, sets and locations, the movie’s scares/kills, effects, and the villain’s mask. “Kills” goes fluffy at times but it gives us a smattering of good insights. The disc opens with ads for A Simple Favor, Winchester, Hunter Killer and Robin Hood (2018). We also find a trailer for Fest. 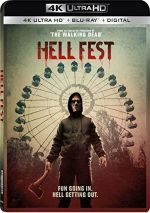 Aspects of Hell Fest threaten to become clever and fun, but too much of the film feels like the same old. Despite a few minor innovations, the movie comes across as predictable and monotonous. The Blu-ray offers very good picture and audio but it lacks substantial supplements. Hell Fest winds up as a forgettable horror tale.